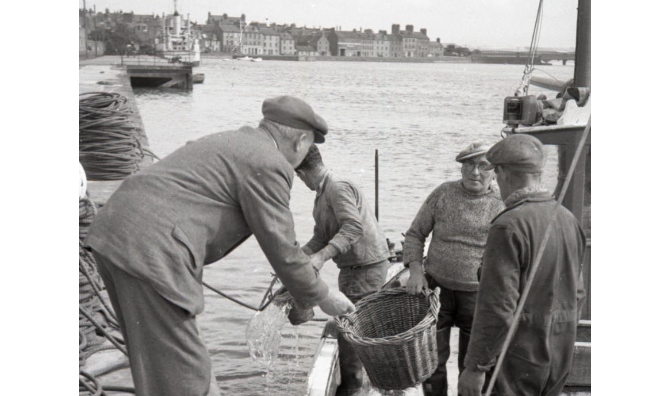 Landing fish at Montrose Harbour. Photo courtesy of Angus Archives. 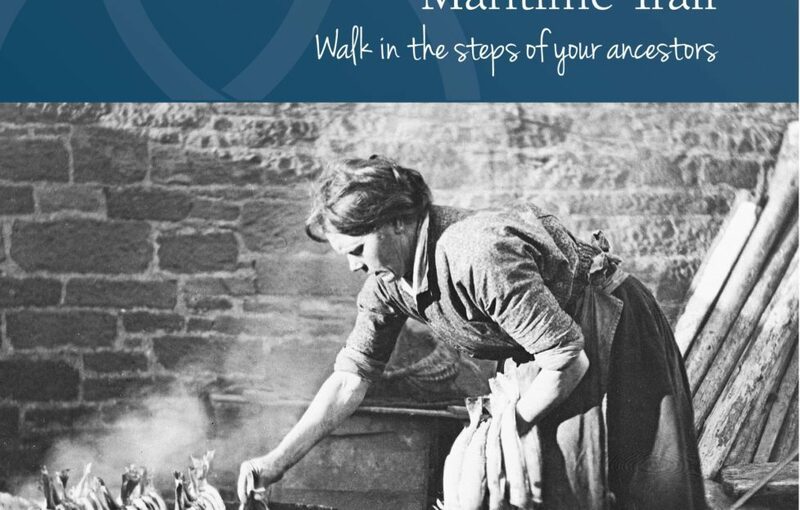 The new Angus Maritime Trail booklet is packed full of fascinating information about the people and places of this stunning stetch of Scotland’s coast. The Angus Maritime Trail hugs 35-miles of stunning shoreline, from the expanse of golden sand at Montrose right along to Monifieth beach, providing a handy guide to the history and heritage of the area. 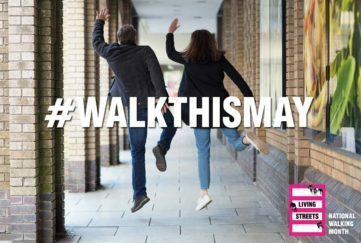 The county’s lighthouses, caves, ancient castles, majestic cliffs and, of course, the sea, play an important part in the Angus Maritime Trail. However, it’s the seafarers of Angus who have the starring roles in this booklet, including the fisher families of the deserted clifftop village of Usan, the smugglers who used the caves near Lunan Bay, the fearless Arbroath lifeboat men and the Auchmithie fishwives who carried their men to their fishing boats so their feet didn’t get wet. 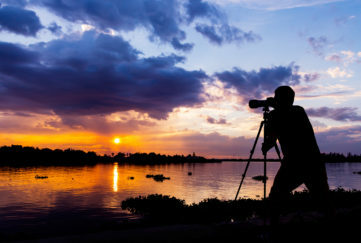 “Whenever I see Montrose Basin, I’m reminded of the financial acumen of the fishermen from Ferryden and Usan,” revealed Colin. “They refused to pay the amount charged to non-Montrose fisherman for collecting mussels from Montrose Basin to use as bait. Instead, they formed their own Mussel Society and rented a stretch of the mussel beds, which worked out much cheaper. The Angus Maritime Trail can be downloaded from www.angusheritage.com. 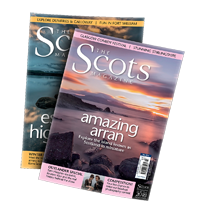 For lots more ideas about places to go across Scotland, pick up a copy of this month’s issue of The Scots Magazine. In the shops now or order online here. 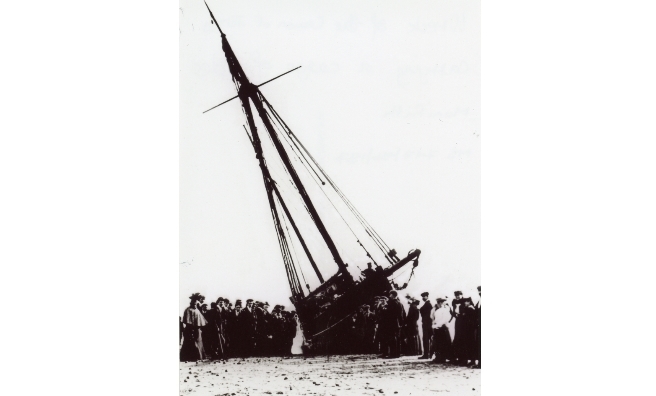 The wreck of the Crown of Jersey, washed up on Monifieth Beach. Photo courtesy of Angus Archives. 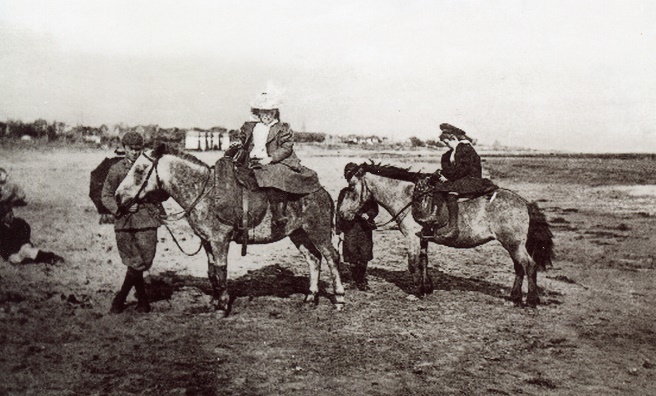 Donkey rides on Carnoustie Beach at the end of the 19th century. Photo courtesy of Angus Archives. 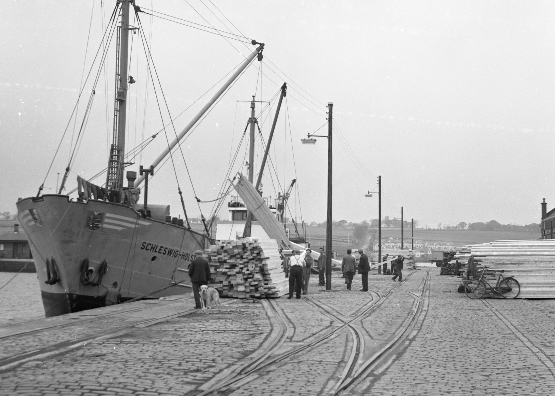 Montrose Docks in 1957 – before the arrival of the oil industry. Photo courtesy of Angus Archives. 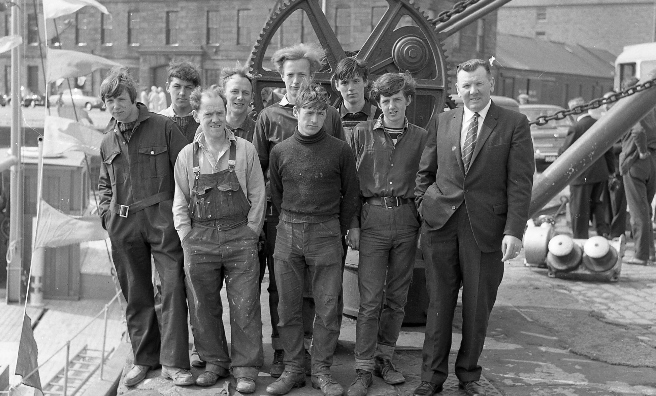 Employees of Angus shipbuilders Arbuthnot & Son at Montrose Harbour in 1967. Photo courtesy of Angus Archives.